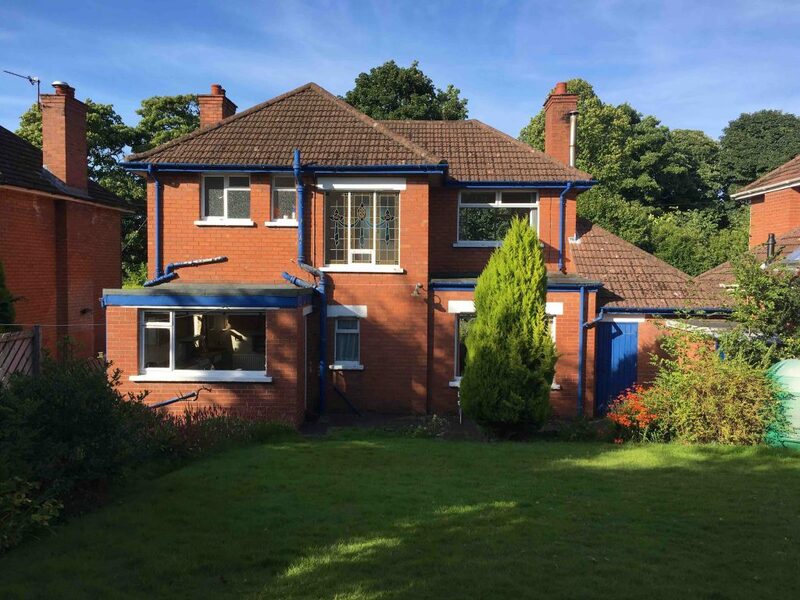 This 1950s detached property was well located in the popular village on Holywood on the coast just outside Belfast. The young couple loved the bright accomodation of the front rooms but the rear had utility type rooms which provided an unattractive elevation with no connection to the garden. 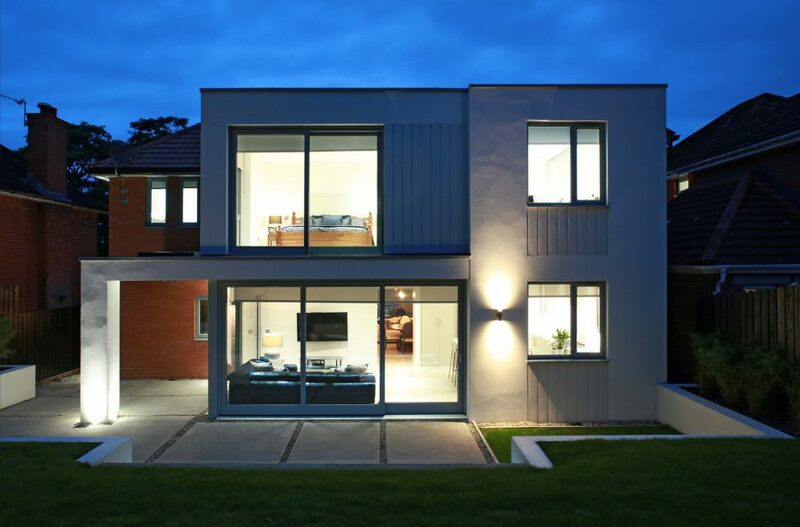 The most cost effective solution was to remove the small rear extension and to construct a contrasting modern box. The box contains a new master bedroom suite with new kitchen/living area to the ground. The kitchen connects through to the existing dining room which now become inform dining and is part of the kitchen space. From the kitchen it is possible to see to the front and into the rear garden as well as connecting into the hidden utility. Wide aluminium windows slide open onto the patio which has a cover area extending to the west to shade sun and provide shelter from summer rain.